Now completed and ready for a new owner! Now with $5000 Builder Allowance! Phase II of Oakridge Estates! Highly energy efficient, stylish home in new neighborhood near Lake Shasta. Short loop of a street. Granite counters and vinyl plank flooring. Fabulous large crown molding on 9 ft ceilings. 493 sqft finished and textured garage. Stucco exterior. Near Lake Shasta boat launches and marinas. Photos shown are from this home currently. This home is finished now. Compare our quality and value! This entry was posted in New Construction, Oakridge Estates and tagged New Homes, Oakridge Estates, Redding, Shasta Lake on June 29, 2018 by Skip@RHB. Check out the real stone and brick accents and large, shaded lot. Detached 2 car side-load garage. Stone flooring in entry leads to laminate floored livingroom with handbuilt stone wall and hearth for woodstove insert. Big backyard with concrete patio, stone firepit, and raised bed garden. Bocce ball court was converted to horseshoe pit. Huge trees provide abundant shade and texture. Bonus Office/Den was used as Nursery, could be an extra bedroom. Guest bathroom has built in cosmetic and beauty vanity, along with deep bathtub with shower over. Inside laundry room and sink. Bosch dishwasher. Owned alarm. RV parking limited to possible boat parking on side yard. Close to schools and shopping. 2739 Yana Ave, Redding, CA 96002. Well maintained and gently loved, this home awaits new owners! This entry was posted in New Listing, Redding and tagged home for sale, Redding, Shasta on June 25, 2018 by Skip@RHB. Blossom Park on a corner lot with side load garage. Vaulted ceilings, arches, and architectural ledges throughout to delight the eye. 2 sided gas fireplace for double the warmth. Skylight in hall bathroom. Indoor laundry. Finished garage. Quiet Blossom Park neighborhood consists of homes of similar age and stature, has only neighborhood traffic. Not many come up for sale here, better hurry! This entry was posted in New Listing, Redding and tagged Blossom Park, Redding on June 24, 2018 by Skip@RHB. Amazing Gold hills luxury home just $$629K! 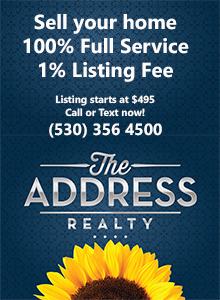 This entry was posted in Gold Hills, Redding and tagged Gold Hills, Homes for sale, Redding, Shasta on June 21, 2018 by Skip@RHB.